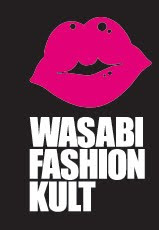 Get out those iPods and start digging through your playlists --We Love Colors, in collaboration with Wasabi Fashion Kult, is having its first ever Music Contest, and the prizes are BIG! If We Love Colors were a song, what do you think it would be? We're encouraging all of you to tell us ONE SONG that comes to mind when you think of We Love Colors. It can be any song out there, as long as it represents how you feel when you're wearing We Love Colors. We are all about helping you fully express who you are through fashion, so how about connecting that awesome feeling you get when you deck your legs out in our stuff to some fun tunes? We really want to see how you see us musically! Now for the prizes! The 9 top submissions we receive of songs with the best explanations that fully express the We Love Colors brand image will win! Good luck everyone and get those colorful legs dancing to some We Love Colors music! I know the PERFECT song! Off to tweet it your way!